Since the parish council was invited to visit the Angus Energy oil site to see the improvements being made, last year, there have been a number of developments. Many of them have happened very rapidly and made our comments in the parish magazine out of date by the time it has been delivered. 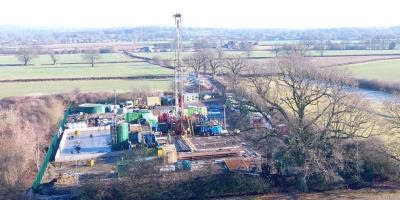 Angus Energy have reported that a new side-track well has been drilled at the Brockham Well with the purpose of assessing the Kimmeridge formation and bringing it into production. They have found that the Kimmeridge reservoir under Brockham is of similar composition to the Horse Hill site and that the yield from it could be even better. Although higher than that of recent times, it is unlikely to be sustainable for very long. The drilling found evidence of “ naturally occurring fractures” in the rock which Angus Energy says would` enable production of oil by conventional means`. However , because of its formation others think it likely that eventually unconventional methods of extraction might be needed using water and other additives. At the time, the parish council assumed that the side track mentioned by Angus Energy was covered by the 1987 planning permission. Surrey County Council are requesting further planning applications to cover this work which Angus Energy are disputing are unnecessary. It has been hinted that this could become a legal matter. Whatever the outcome, the parish council is very disappointed that Angus Energy do not appear to have told us their full intentions regarding this site. We were led to believe that everything was being upgraded to meet current and future regulations regarding oil extraction on the site. Naturally, we will be monitoring the situation as it develops and hope that this note will help to defuse any strong emotions that this episode has so far produced. There will be a meeting in the Village Hall on Easter Sunday (16 April) - 2pm - 4.30pm, when you will be able to find out more. 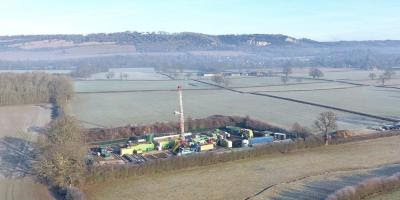 A week ago, Angus told investors it will produce oil from the Kimmeridge shale at the Brockham well in Surrey. This is the same horizon that produced 1,500 barrels a day at Horse Hill, some five miles to the south. Drill results revealed the characteristics of Brockham to be very similar and, in some respects superior, to those of the so-called Gatwick Gusher. The discoveries by Angus and the Horse Hill consortium, led by UK Oil & Gas Investments PLC (LON:UKOG), suggest the oil-bearing Kimmeridge limestone may be widespread across a huge swathe of the Weald Basin. At Brockham the programme saw Angus and its partners re-enter an existing well bore and conduct additional drilling. The well unearthed a 385 metre thick Kimmeridge zone, including two intervals (each around 30 metres) that were tested with success at Horse Hill. The reservoir properties appear to be very similar to Horse Hill, based on electrical logging evidence. There were natural fractures in the two main limestones intervals previously tested at Horse Hill (these are key to oil flowing naturally). There were also abundant natural fractures in sections of interbedded shales and limestones between and below the two main limestones. Additional oil shows were found in the Portland and lower lying Corallian formations. Subject to sign off from the Oil & Gas Authority, the well could be in production late spring/early summer.